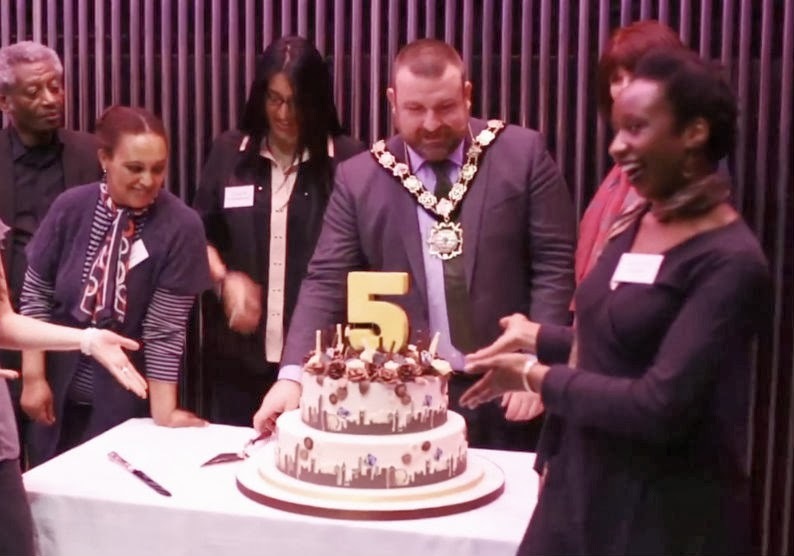 London celebrated 5th years as the biggest Fairtrade City in the world earlier this week. Organizers of the celebrations agreed that though working towards Fairtrade Town or City status is a lot of effort, it’s a great way to unite and energies neighbors, groups, local establishment and businesses to strive together towards a common goal and link them to people across the world. This week London reached its 5th anniversary as the world largest Fairtrade City, and it celebrated in style with a glitzy party for Fairtrade supporters. Fairtrade sparkling wine and canapés were enjoyed on the top floor of the City Hall home to the Mayor of London and the London Assembly which provided a marvelous setting with impressive views over the River Thames and the city beyond. 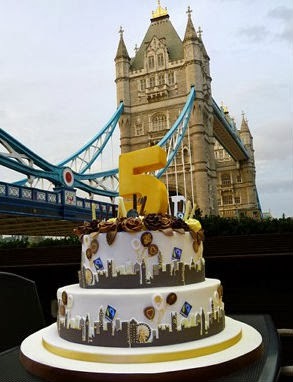 The specially commissioned cake by Jane Asher, crafted to represent London famous skyline from unthinkable quantity of Fairtrade sugar and Fairtrade Divine chocolate, added to the glamour of the event. However, as at all Fairtrade events, in the end the most sparkling and truly sparkling part of the evening was the enthusiasm for Fairtrade. Mayors, councilors, Fairtrade campaigners, Fairtrade business legislature, Fairtrade producers and Fairtrade Foundation staff showed real passion for all the hard work done collectively in making and keeping London Fairtrade status. Speaker after speaker approved that motivating a city the size of London to commit to Fairtrade is no easy task. Rosie Boycott, who was in lieu of Mayor Boris Johnson, said the Mayor was very pleased London was doing so well. She continued: ‘It is a fantastic achievement that London is celebrating its 5th year as a Fairtrade City. This does not happen by accident you have to work at it. This is an incredible movement that is going from strength to strength in this city, capped by the adoption of Fairtrade by the London 2012 Olympic and Paralympics, earning them the title of the fairest Games ever. The London 2012 Olympic and Paralympic Games became the ‘fairest’ games ever by serving millions of visitors with Fairtrade certified tea, coffee, chocolate, sugar and bananas. Other speakers at the occasion included David Lammy MP and Fatima Ismael, from the Soppexcca Coffee Co-operative, in Nicaragua, who presented a packet of coffee ‘with the taste of social justice’ to Sophi Tranchell, Chair of Fairtrade London, who has spearhead the campaign from the beginning. David Lammy said: ‘It is not surprising that, as a city of such diversity, London is leading the world on Fairtrade, which brings connectivity with people, narrowing the gap between north and south and recognizing our everyday jobs in this part of the world. 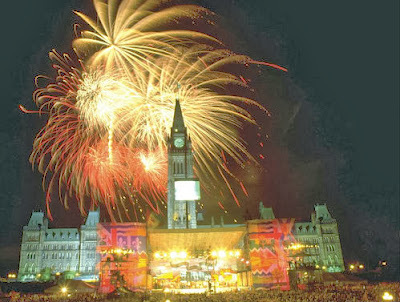 But, as with any good party, the compère for the evening left a bit of tension and drama to the end. London has pioneered the Fairtrade Towns and Cities movement, which has now spread across the globe with 100 of Fairtrade towns and cities from Paris to Quebec, Copenhagen to Toronto. The movement strength was on show at the celebrations as Brussels, Madrid and Wellington all sent video congratulations messages to London. As she finished off the evening speeches, Sophi Tranchell shared the bitter-sweet news that Seoul, in South Korea, with a population of over 10 million, is soon likely to overtake London as the world’s largest Fairtrade City. ‘Still’, she said, we should feel proud of this ethical export.